The minister for human resource development, Smriti Irani, along with her mandarins and the vice-chancellors of all central universities was in a two-day retreat in September in Chandigarh. 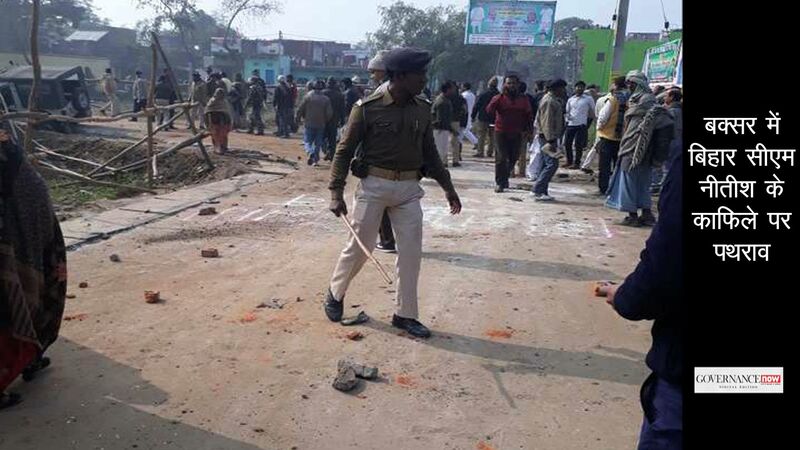 It is not surprising that the electronic media neither reported nor discussed the event. After all, it has fast ‘evolved’ from infotainment to unabashed comedy and live cockfighting. But, it did come as a surprise that this meeting was not reported adequately even in large sections of the print media. Well, in defence of our journalistic class, one has to say nothing dramatic or curious happened at this retreat. 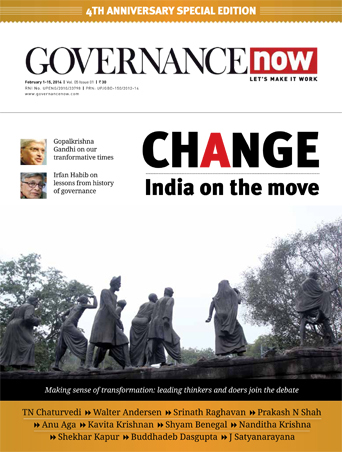 Given Modi’s ballistic campaigning and general pretence that his government is different from all regimes independent India has seen (after all, ‘nothing’ happened in 60 years), the media was probably looking for some dramatic departures, some important disjunctions from the UPA policy framework on education. What we got instead was smooth continuity, informed by a mindless technocracy, as far as the higher education policy is concerned. From the point of view of the future of our higher education, this continuity of perspective is very important. Departures would, of course, have been interesting, but continuity is curious, to say the least. One recalls the great detective who reminded Inspector Gregory, while working on ‘The silver Blaze’ case, that the fact that the dog did nothing in the night-time was in fact the curious incident. The continuity of UPA and NDA policies in many areas is becoming increasingly clear. In case of education the consensus amongst the ‘forward looking’ ruling elite had become clear decades ago when the nomenclature of the ministry was changed from education to HRD. Now, the state is not looking at educating its citizens, it is not investing in human individuals; rather it is investing in a resource which happens to be human. The liberal framework gave way to the managerial one even without a whimper in political circles, just as education was sought to be reduced to science, technology and management. In fact, there is little scope in such an approach even for science in its fundamental sense. There is hardly any enthusiastic encouragement from the official side for fundamental and ‘non-pragmatic’ research in science. For the ruling elite, corporate bosses and most of the middle class these days, science is nothing but a euphemism for useful technology. Another shared trait between the NGO-friendly, ‘inclusive’ UPA government and the ‘no-nonsense’ nationalist one under PM Modi is the obsession with controlling everything and propagating the great ideal of ‘one size fits all’, in the sphere of ‘human resource development’. The present minister, while paying lip service to the idea of autonomy of universities, still got a draft ‘single Act’ for all central universities circulated for ‘suggestions’. This Act is based on the recommendations of the Pathan committee, which was formed in 2013 (when Kapil Sibal was the HRD minister) with the clear mandate of suggesting ways of implementing the ministerial motto of ‘one size fits all’ and had recommended, inter alia, doing away with the office of chancellor, and having in its place a council of vice-chancellors headed by, no prizes for guessing, the minister for HRD! There is not even the veneer of autonomy here: the government must control all aspects of university life. Another brain wave, ostensibly egalitarian and democratic (and common to UPA and NDA dispensations) is to have common admission and common curriculum for all the central universities in order to facilitate student and faculty mobility. Again, the idea of only technology and management being worthy of any serious consideration is implicit here. In the field of humanities and social sciences, it will be an extremely harmful step. Even in science, technology and management, the inclinations and orientations of various departments do and should influence their research programmes and priorities. In social sciences and humanities, at any rate, interpretations matter a lot, and institutions of higher learning make their distinct mark by offering different interpretations to the same or similar data. This diversity of views and approaches enlivens the field of knowledge and enriches the collective wisdom of society. In education systems the world over, individual teachers are encouraged to offer new courses and identify new focus areas in the ongoing teaching programmes every semester. In contrast, our political and administrative bosses want 40 central universities to teach the same text, same poets, same set of research questions, same priorities to each and every student. If, by ‘common curriculum’, something else is meant, I would love to be enlightened. Sibal also has to his credit the great idea of appointing vice-chancellors through advertisements and interviews. There is a world of difference between someone being nominated without having applied, and someone getting through after an interview. The supreme court has categorically stated that notwithstanding the funding from government, the relationship between the government and university professors and vice-chancellors is not that of master and servant. Under the guidance of Sibal, for the newly established central universities, the nomination method was replaced with selection method in order to make the master-servant point in a subtle psychological manner to be followed with legal steps in due course. Once the idea of a single act and a council headed by the minister, governing the matters of all central universities is put to practice, the Sibalian dream of ‘one size fits all’ would be happily realised. The gods of efficiency and good governance would have slain the demons of independent and critical research and teaching. If she wants to reform education, Irani would do well to break from this Sibalian mould. Participating in a couple of TV debates about her suitability as the minister of HRD, as she does not possess higher degrees, I had made two points. First, in any democracy, ministers are supposed to provide direction and perspective, and this has nothing to do with higher degrees. In fact, the question of formal qualification is more pertinent in the context of high-level bureaucrats, i.e., IAS officers, who having passed one examination in life supposedly acquire expertise on everything from agricultural policy to rocketry to the finer points of pedagogy. Incidentally, in the mid 1950s, the administration in the education ministry was headed by a professor. Maulana Azad, as education minister, had appointed the distinguished academic Prof. Humayun Kabir as education secretary. It would be interesting to know when and how the IAS lobby captured this position. 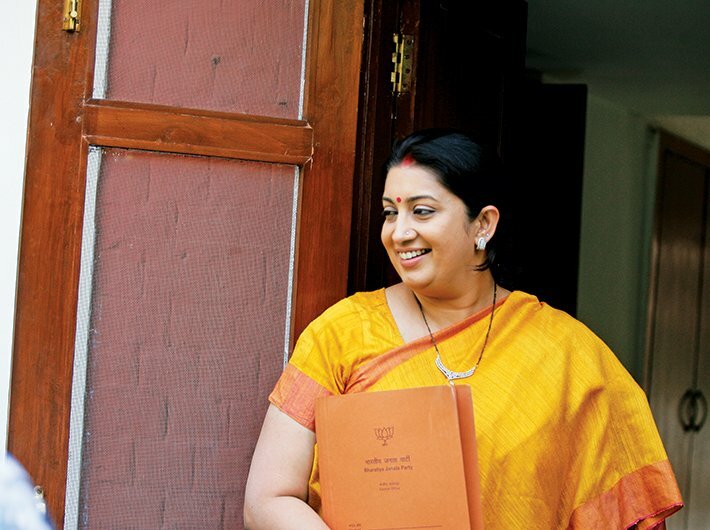 Irani may look at the idea of reviving the practice of having experts run higher education in the country. The second point was about the standards of education. I believe that no human being can create more drift and confusion in our education system than what has been achieved by US-trained top-class ‘intellectuals’ under the benign guidance of Manmohan Singh. Irani can only take things in a better direction, provided she chooses to act differently and see through the designs of control-freak bureaucrats.